The weapons available in this game, which has sold over three million copies worldwide, do not include guns - only bombs called BIMs. The player locates enemies on a radar and strategically launches one of eight types of BIMs to blow the enemy away. That's all one needs to do to win. Sakamoto Ryota still has no job at age 22, and leads a rather dull life. But in the online game, BTOOOM!, he's stronger and more highly respected than anyone else. However, the game he's playing now is no longer virtual, but real. He's been sent to a deserted island with only a BIM supply and no clue why he's being coerced into fighting and killing. 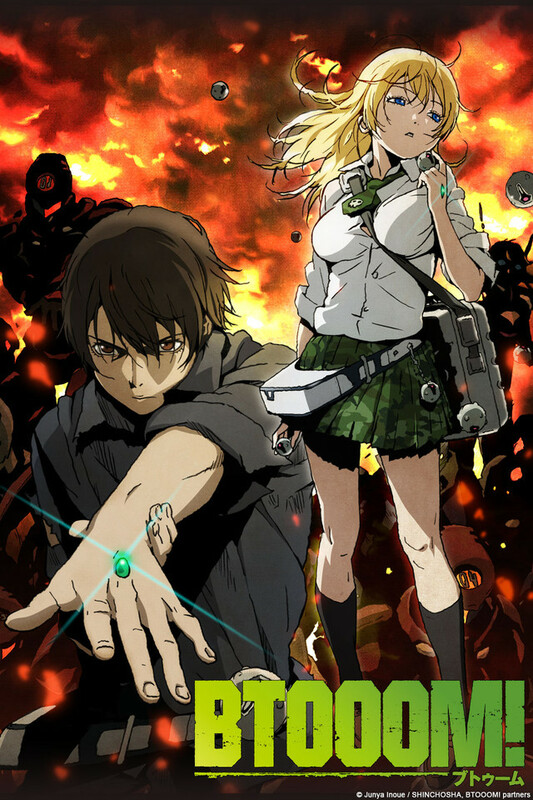 The players are now stuck in a real life version of BTOOOM!, not even knowing the reason why. The hunger to survive, the loss of morality, the madness that corrodes their minds, the intensely growing desires... it all blends together, only to be crushed to dust as the curtain rises on this explosive killing game.